The truth is, I’ve become one of those intolerable Londoners who can scarcely get through a weekend without at least the promise of brunch. Forgive me friends, for I have brunched. This week, Nigel Slater offered up this delightful little dish which we gratefully adapted and then happily scoffed. 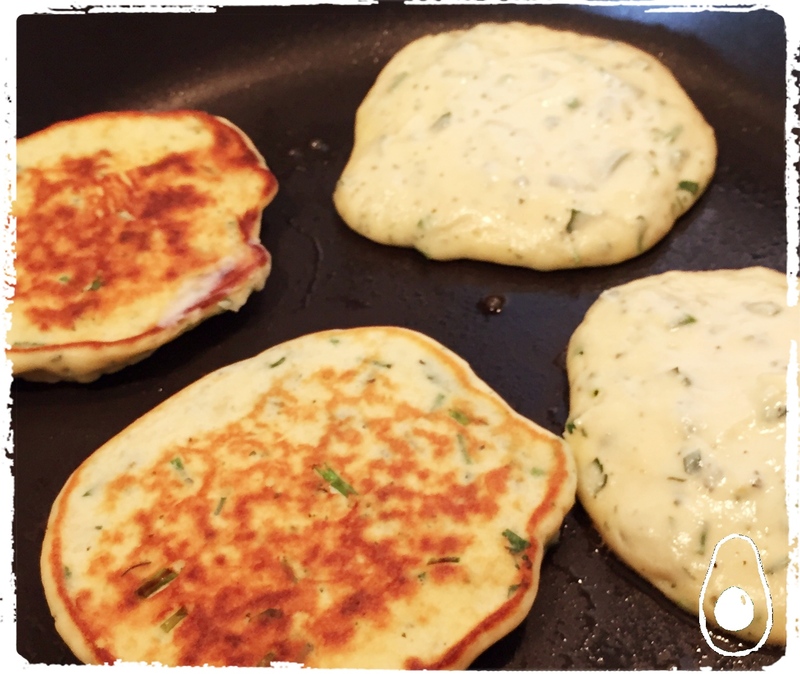 In a way, the term ‘pancakes’ is a little misleading – the flour content across the three portions is too low for that kind of texture so my advice is to adjust your expectations. Think a light, herby, savoury cheesecake patty. This is a great recipe to use up miscellaneous herbs in the bottom of the salad drawer. It’s also a great recipe to bring joy to your tired little Saturday/Sunday morning soul. If you’re feeling particularly up to it, finely slice a small radish or two into the avocado salsa for colour and texture. Adapted from Nigel Slater’s, Eat. 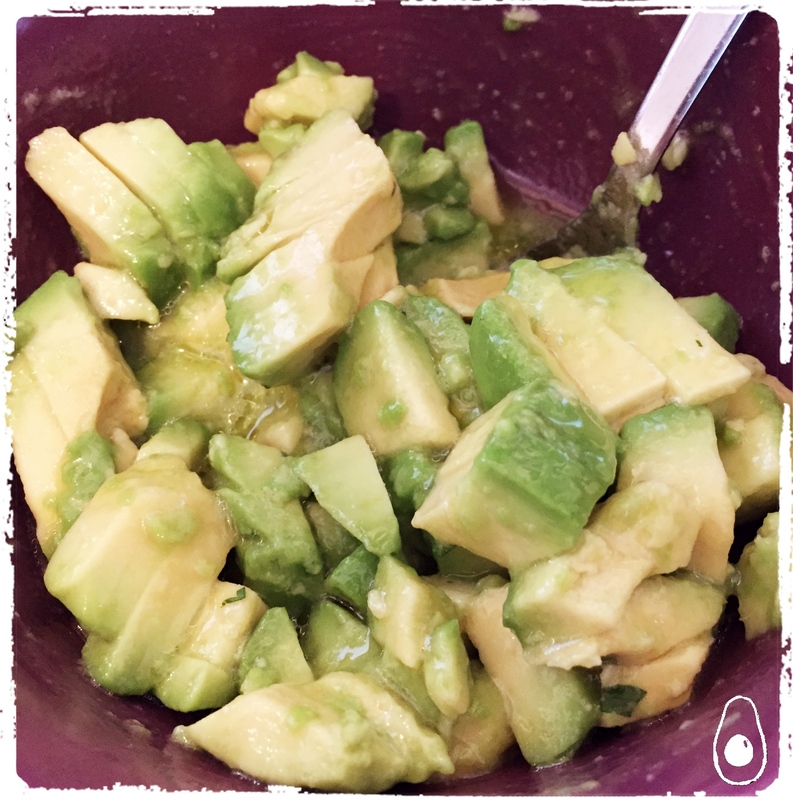 Make the salsa first by combining the diced avocado, the lemon juice, the olive oil and some seasoning together. Add a pinch of salt. Cover and set aside. Whisk the egg whites until they are light and fluffy. It’s worth disclosing at this point that I gave up before this point and our pancakes were just fine. Season generously. Brush some olive oil or spray some calorie spray in a heated wide, heavy bottomed pan. Spoon the batter into the pan to make approximately 6 pancakes. They should be roughly the circumference of the top of a coffee mug, or slightly wider. Cook for approximately 2-3 minute per side or until they’re nicely browned. Use a gently heated oven to keep them warm if you need to use batches. Serve each portion with a tablespoon of greek yoghurt, a third of the avocado salsa and a flourish of watercress sprouts. Put on a pot of the good tea. Pour a large glass of orange juice. Flip open the weekend papers. Perfect.